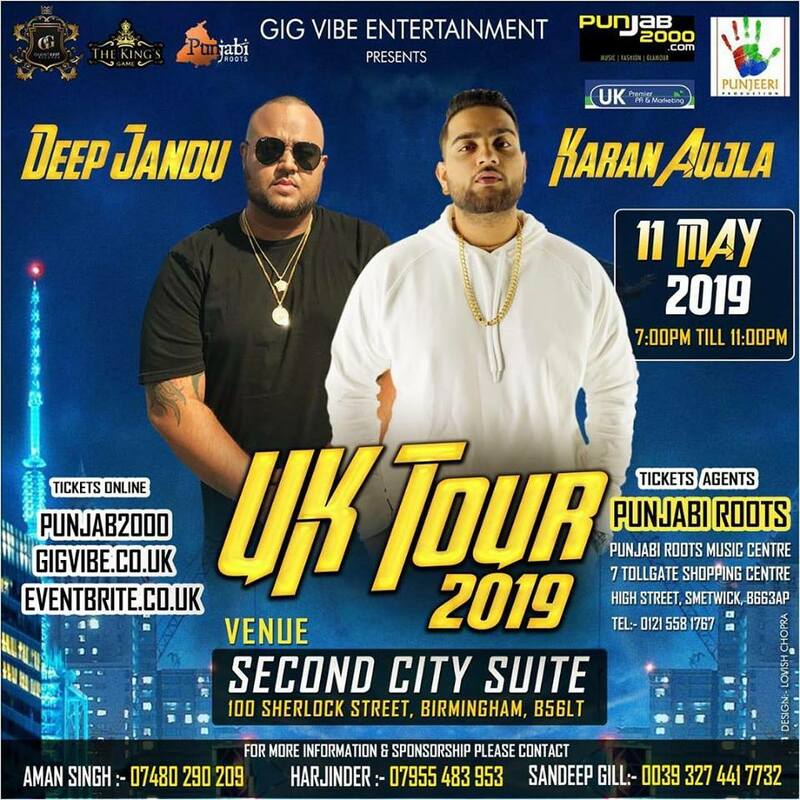 Karan Aujla & Deep Jandu, 11th May, Birmingham!!! First time performing in the UK!! Many artists strive to get their name out hoping that one day their dreams will come true. Two talented artists out in Toronto, Canada have captured the hearts of many fans just by doing what they love which is making music. Karan Aujla and Deep Jandu have broken the waves of Punjabi music in their own unique style and fashion across North America and the World. To witness the amazing duo live in action, get your tickets now via the link above!! “Gig Vibe Entertainment are specialists in creating and delivering events that provide memorable life experiences. Working with our trusted network of partners, our ethos and mission statement is simple creating a “spectacle”. Our hardworking team of event management, marketing and design experts are passionate and dedicated to exceeding high expectations, always going above and beyond to guarantee a stunning event, every time.